The following information was provided by the San Pedro Police Department. Queries or complaints may be directed to the San Pedro Police Department. 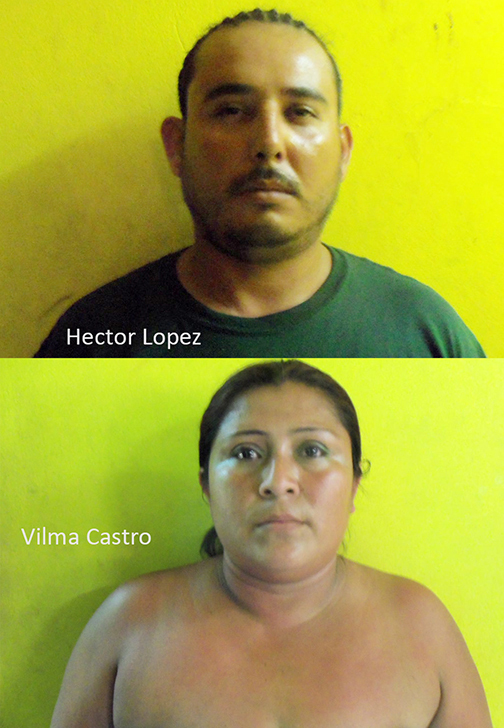 *Acting on anonymous information, San Pedro Police conducted a house search in the Boca Del Rio area on Thursday, October 17th at around 3:45PM; present at the house was Honduran National, Vilma Esperansa Castro. Upon searching the house in a room adjacent to the bedroom, officers discovered a large amount of drugs under some clothes on a table. Police also discovered documents belonging to 29 year old Hector Lopez. Castro was arrested and a warrant was issued for the arrest of Lopez. On the same day of the search Lopez surrendered himself to San Pedro police, and he and Castro were both charged for possession of drugs. The drugs were processed and amounted to 77.89 grams of Cannabis. Both Castro and Lopez appeared before Magistrate Sherigne Rodriguez on Monday, October 21st. Lopez pleaded guilty to Possession Simplicita, but his plea was rejected. Lopez was offered bail of $4,000 which he met. Castro was denied bail due to nationality problems. Trial has been scheduled for Friday, December 6th. *On Wednesday, October 16th, while conducting a police patrol in the San Pedrito area, San Pedro police drew their attention to a suspicious person. The person was later identified as 25 year old Jermaine Moody. According to police, Moody disposed of a transparent plastic bag, which he had pulled out of his pocket, into a blue garbage bin. Police quickly retrieved the plastic bag and commanded Moody to freeze. 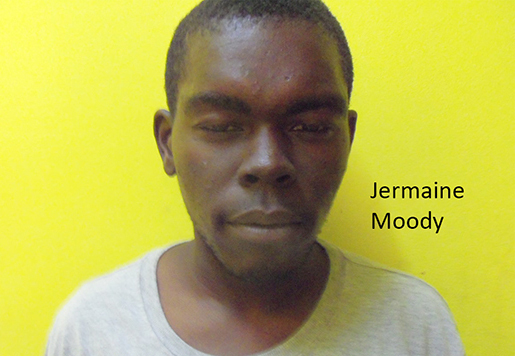 Moody evaded the police and fled the area. On inspection of the plastic bag, 12.76 grams of Cannabis was recorded. Moody was later arrested and charged for Possession of Drugs. He pled guilty to the charges and was fined $400 and $5 cost of court to be paid by November 11th. On Friday, October 18th at around 5:45PM the San Pedro police conducted a house search on the house of Nelson Acosta of San Mateo area. Present at the house while the search was being conducted was Glenda Estrada. While searching the house, police discovered 26 single packs of Custom Elite Cigarettes. These cigarettes are illegal items under the Belize Custom Law. The cigarettes were handed over to the San Pedro Customs Department and Acosta was charged for knowingly possessing Un-Customed Goods. Acosta pled guilty and was fined $500 to be paid by October 31st. On October 22nd, at about 3:06pm 64 year old Timothy Joe Younkin, retired American National and a naturalized Belizean presently living with his wife Jean Ann Younkin at Mile 2, North of San Pedro Town reported that on September 2nd, 2013, sometime around 8:30AM they left to the U.S.A leaving their doors and windows properly secured. He stated that they returned back to Belize on Saturday, October 19th, at around 5:00PM on Sunday October 20th, his wife discovered that their blue (12x14x8”deep) lock box which was inside the guest bedroom and contained US$2,000 and BZ$500 in cash, was missing. They also found out that several other items were missing, including electronic items and assorted jewellery all to a total value of $16,480.00BZ. Police investigations continue. 19-year-old Nelson Rhaburn, maintenance worker presently residing on Pescador Drive San Pedro reported that on Wednesday October 23rd, between 3:30AM and 4:00AM while on Pescador Drive assisting a friend to his house at above location, he was approached by two male persons, one of whom was armed with a handgun which was placed in his mouth while the other male person robbed from him his Camel bag valued at $250.00BZ, a wallet valued at $65.00US containing $250 cash. They also attempted to take away his Deltex brand tennis shoe, and upon his refusal, a struggle ensued. 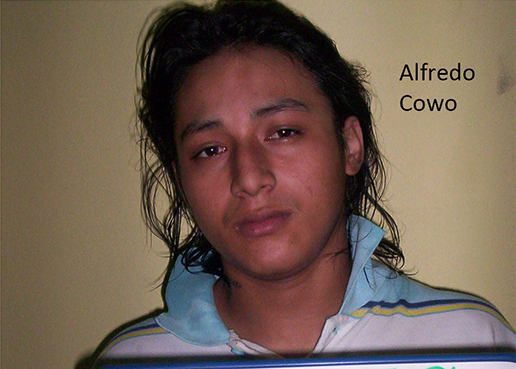 A short while later, police arrived on the scene and assisted in the detention of 22-year-old Alfredo Cowo of San Marcos Area, San Pedro Town. Cowo was later charged with possession of an unlicensed firearm, ammunition and robbery. Recovered was (1) Pistol .32 calibre with serial number D1 Star Brand made in Spain and a magazine loaded with three live rounds with one in the chamber. Police investigations continue.